An explanation of helical micro-CT (micro-tomography scanning) – also known as spiral scanning. Benefits of the technique and how it’s used in materials science and orthopedic research. Blue Scientific is the official UK and Nordic distributor for Bruker Micro-CT in the Nordic region. For more information or quotes, please get in touch. Micro-CT X-ray imaging uses pinhole cone-beam geometry. X-rays are emitted from a very small spot for high resolution. They are detected by a flat, rectangular X-ray camera, as shown in the diagram below. This image acquisition geometry is called “cone beam” geometry, because of its shape. At the top and bottom of the image, the X-ray path is at an angle known as the “cone angle”. 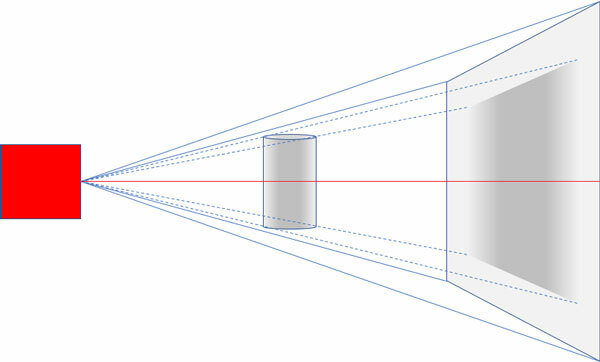 The path from source to camera is only orthogonal at one point, in the centre (shown in red below). With cone beam geometry, the path from source to camera is orthodonal at only one point. Feldkamp reconstruction uses an algorithm to reconstruct tomography scans taken with cone beam geometry. It involves interpolating inclined source-camera paths to parallel planar cross-section reconstructions. The Feldkamp method was published in 1984 and is known to be imperfect. In particular, horizontal surfaces parallel to the midline optical axis are not reconstructed correctly. Because of the inclined projection, the data is insufficient for a perfect reconstruction. The image below illustrates this weakness, using a specially-constructed Defrise cone beam phantom. Comparing the standard circular and helical scans, you can clearly see cleaner, sharper edges and fewer artefacts in the helical scan. The helical scan has sharper edges and fewer artefacts. Helical scanning solves this problem by moving the sample axially by one pixel with every rotation step of the scan. Each part of the object describes a helix, as the sample simultaneously rotates and moves axially. In contrast, with a standard “circular” scan the object parts rotate in a circle on the same plane. In a helical scan, every cross-section is reconstructed with orthogonal geometry, which eliminates the problem of Defrise cone angle artefacts. The technique requires extremely accurate and precise sample movement. The geometry of the system must be highly engineered. However, it delivers the highest level of geometric and densitometric accuracy in your results. Noticeable decrease in ring artefacts. “Heel effect” is eliminated (an artefact of changing attenuation with axial position in a scan reconstruction, due to differential self-absorption within an X-ray source target). The problem of cone artefacts rarely causes issues in life science and biological micro-CT imaging. This is because biological tissues and structures are not usually completely flat or straight. However, in materials science, artificially manufactured objects often have flat surfaces, which are affected by the weaknesses of circular scanning. The exception in life science fields is in orthopedic research, when metal screws are implanted in bone. The Defrise effect, together with the metal’s high attenuation, causes artefacts in the surrounding bone. A scientific paper was published in 2018, describing the advantages of helical scanning for analysing titanium implants in periodontal bone. 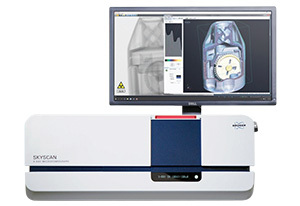 The research used the Bruker SkyScan 1275 micro-CT scanner. The paper, by Jung-Yoo Chesaria Choi of the Dental Research Institute at Seoul National University School of Dentistry, is available online here. The scans below are from the paper by Choi et al. As you can see, the interface between the titanium implant and surrounding bone reconstructed more cleanly in the helical scan on the right. This was taken on the Bruker SkyScan 1275. The centre image is a circular scan taken with the same instrument, for comparison. The paper includes a full description of how the halo artefacts and blurring are reduced with spiral scanning. Titanium implant in bone. There are fewer artefacts and halo effects in the helical scan. 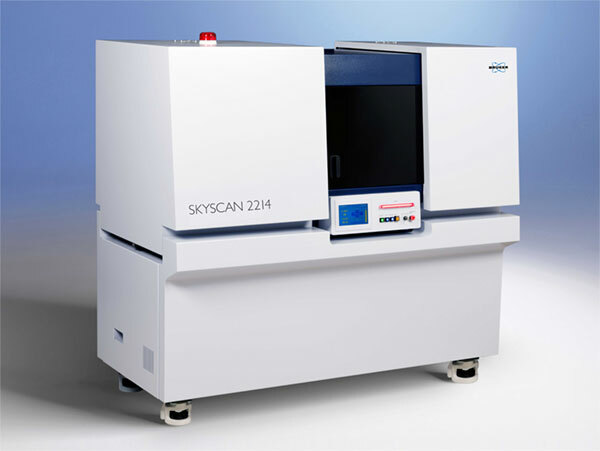 The Bruker SkyScan tomography systems below feature helical scanning. They use a specially-developed algorithm for exact reconstruction, licensed from Alexander Katsevich. Further information about helical scanning is available in a method note from Bruker (MN106) – available on request.